Late in the third quarter, Conor Morgan slips out of a high screen and steamrolls towards the basket, urgently pointing at the rim in hopes of receiving a spectacular alley-oop lob. Instead, he receives a crafty backdoor pass, yet finishes the play in equally extravagant fashion — soaring for a massive two-handed slam that fans in War Memorial Gym have become accustomed to witnessing. While others may revel in the crowd’s reaction to such a highlight reel play, Morgan remains focused and calm as he flies down the court. He drifts out to the three-point arc as point guard A.J. Holloway drives into the lane, then proceeds to knock down an incredulous three-pointer whilst seemingly fading backwards into the sixth row. The commentators are struggling to contain their excitement after Morgan provides another quick jam — at this point both players and fans alike are anticipating what he has in store next. Morgan immediately obliges; nonchalantly stepping into a three-point shot from Stephen Curry range, simultaneously sending the crowd into raptures while putting the game to bed. In just over a minute of play, Morgan demonstrated his unique jack-of-all-trades skill set that earned him Canada West Outstanding Player of the Year for 2016/17. Morgan remains ice cold as he torches the defense with an array of offensive moves that have proven unstoppable at the collegiate level. Able to handle and pass the ball like a guard yet remain an imposing defensive presence in the paint, the Victoria native attests his unique skillset to a sudden growth spurt early in his basketball career. 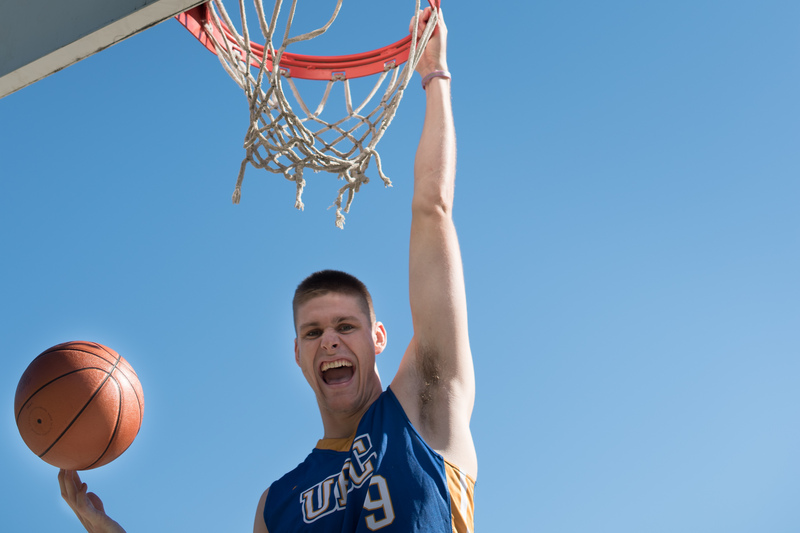 As Morgan adjusted to his new frame upon entering UBC, it was clear he had to add different facets to his game in preparation for his imminent positional change. Since then, Morgan hasn’t looked back. Combining the guard skills of his youth to torch larger defenders on the outside with a matured post up game that bullies smaller opposition, Morgan emerged as a matchup nightmare on the court this past season. The 2016/17 T-Birds were a reflection of their star player — a unique cocktail composed of strength, athleticism and outside shooting as they marched to a 17-1 record through the regular season. Morgan proved to be the straw that stirred the drink, pouring in 22.6 points and 7.6 rebounds per game. Those numbers alone are impressive, however, only playing a hair over 25 minutes per game and shooting 40 per cent from three-point range offers a greater insight into how efficient Morgan truly was. As February rolled around, the 'Birds and Morgan were cruising into playoff season buoyed by an impressive 11 game win-streak. However, the most vivid sports moments are those of underdogs defying the odds; the unpredictability of sport is what makes it enthralling. Last season, UBC were cast into the role of Goliath, succumbing to a first-round home series sweep by the Manitoba Bisons despite being heavy favourites. 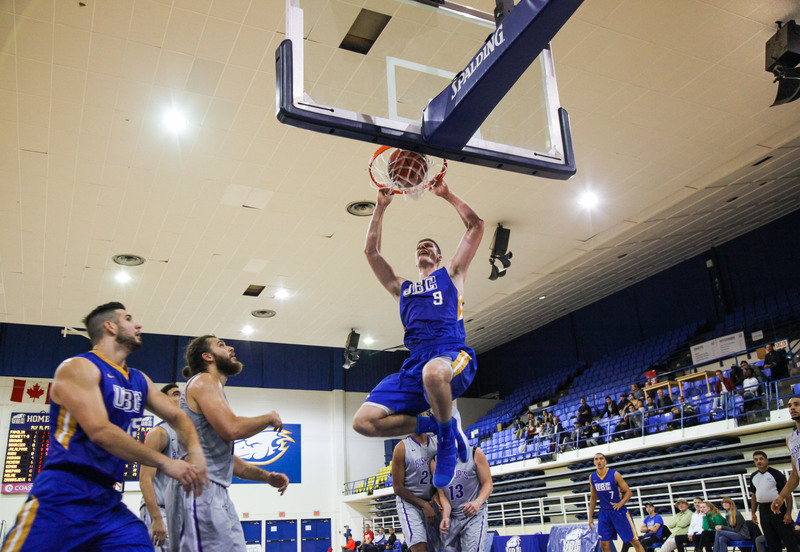 A severe ankle sprain suffered by Morgan only added to the playoff difficulties the 'Birds faced — ultimately, the series loss ended UBC's dominant season in unceremonious fashion. Morgan shies away from blaming the injury for the loss, however its impact was clear to see. “It was truly the worst ankle sprain I’ve had in my life.” Morgan confessed. After months of rehabilitation, he is back to write his final chapter this season and settle his score with Canada West. 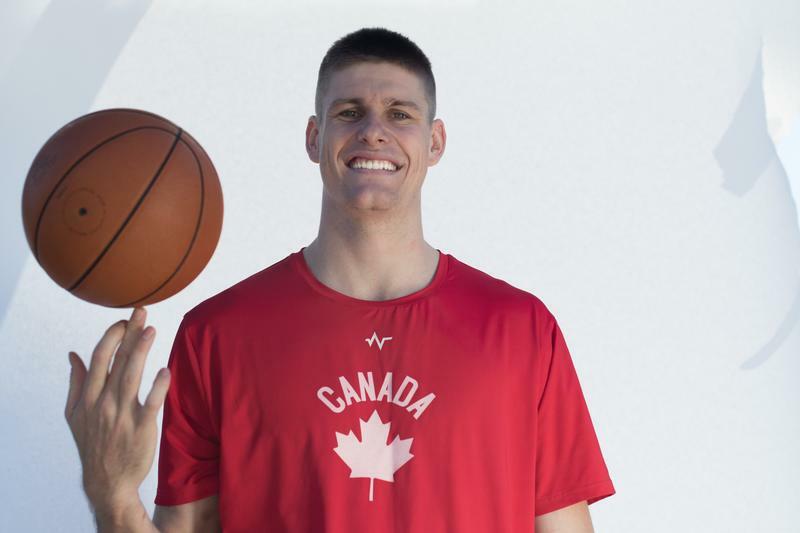 Morgan returns to the Point Grey campus for his final year of eligibility with a wealth of experience, spending the summer in Taipei competing in the William Jones Cup with Team Canada and the FISU games with the U-23 national squad. “I saw a completely other side of basketball. Pro basketball is a lot different than university basketball, in regard to guys fending for themselves,” Morgan said. The resounding success Morgan achieved winning the Jones Cup along with some impressive performances at the FISU games seems to have only strengthened a player already oozing with confidence. Morgan will be thrust into unfamiliar territory as he returns to UBC without longtime teammate Jorden Jensen-Whyte, who has exceeded his eligibility. Despite this, Morgan hopes to bring his best friend’s leadership intangibles to the team this year. “His demeanour doesn’t change, that’s what I took from him. It’s pretty crazy seeing how he conducts himself. He always rises to the occasion.” Morgan praised. Morgan is also quick to applaud two other veterans, Luka Zaharijevic and Phil Jalalpoor, for their early leadership during his national team absence. Despite the buzz surrounding his return to campus along with the influx of an impressive recruiting class, Morgan brushes off the notion of heightened expectations for the upcoming year. Instead, the Mount Douglas product preaches the importance of consistent focus and intensity during the slog of a long season. Morgan’s skillset alone makes professional basketball a distinct reality in his future, however it is the work ethic and commitment that he demonstrates which make him a truly special player. All that is needed now to cap a sparkling university career is a national championship crown.